Home - Jim-The Computer Guy, Inc. When your computer is down, time is money… Jim’s Computer Repair has flexible hours and prompt service at your home or office. Serving Gettysburg, Lake Heritage, Bonneauville, Biglerville and Emmitsburg areas. 14 Years in Business! 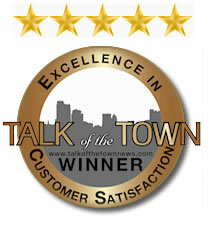 2013 Talk of the Town Customer Satisfaction Award! We would like to extend our congratulations to you and your staff as the entire Jim-The Computer Guy, Inc. team has achieved an award-winning 5 star rating for 2013! The computer will not do what it should do. When you need advice on your next computer purchase. You also need someone who can show you how to use the power of technology to help grow your business too. Jim the computer guy specializes in making your computers work for you! Jim the Computer Guy specializes in making your computers work for you. © 2019 - Jim-The Computer Guy, Inc.